In Richmond you will find our Bakery & Café at 13 The Quadrant, just down the hill from Richmond Station in this popular and attractive town on the banks of the Thames. Richmond started to grow in importance when Henry VII rebuilt the manor there after a fire in 1497 and named it Rychemonde after his earldom in Yorkshire, at which point its status changed to ‘palace’, drawing craftsmen and members of the royal household to the village, as well as people moving to the country to escape the plague in the city. In medieval times the Green had been the jousting ground. It was also common land where villagers were allowed to pasture their sheep. It is still there, just a couple of minutes’ walk from our café, but minus the sheep. There have been numerous very fine buildings erected in Richmond over the years, many of which still remain. The river frontage is most attractive, Richmond Theatre has an excellent reputation, there are plenty of good shops, the nearby Royal Botanic Gardens at Kew are glorious, whilst Richmond Park itself is one of the great Royal Parks and the largest enclosed space in London. Covering 2,470 acres, it was first enclosed in 1637 by Charles I to provide a hunting ground close to Richmond Palace and Hampton Court. The oaks in the park are very old, some of them representing the survivors of the medieval forests which once surrounded London. Seeing the herds of red and fallow deer is a particular pleasure. 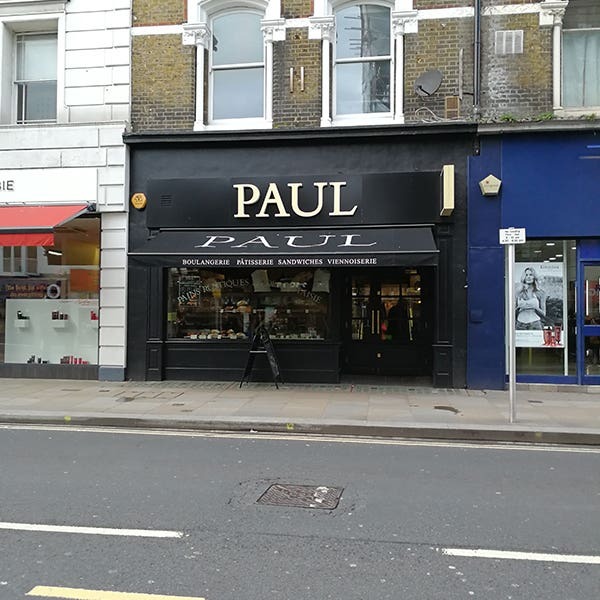 We look forward to welcoming you to PAUL in Richmond. 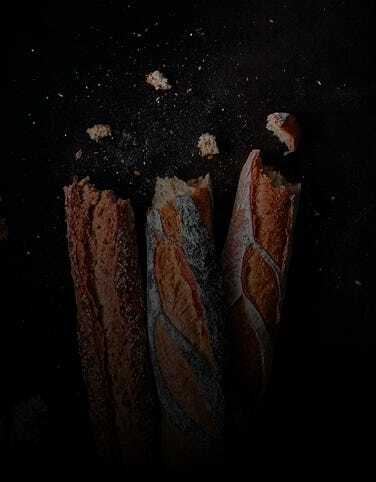 Come in for a Parisian-style breakfast, a light lunch, teas, coffees and delicious patisserie, or just to buy your daily bread from our freshly baked, hand made range. Closest station is Richmond (District Line, London Overground, National Rail). 30 seats are available. Disabled access available. Free wi-fi.